A scholar of early modern British literature, Joe Black received his BA and PhD from the University of Toronto and taught for several years at the University of Tennessee Knoxville before joining the English faculty at UMass Amherst in 1994. Rooted in the history of the book, his research on seventeenth-century literature has examined the intersection between writing and the material and social context of production as well as the dialogue between print and manuscript culture. The Black collection is an eclectic assemblage of American imprints designed to assist study and instruction in the history of the book. The collection includes two long runs of pulp novels, Beadle’s Frontier Series and the American Revolution-inspired Liberty Boys of ’76, examples of almanacs, prompt books, and works form the early national period in publishers’ bindings. Books of hours are the most common surviving form of the medieval book and are as diverse as the patrons who commissioned them. Beginning in the mid-thirteenth century, they flourished as part of a rich array of devotional works used to frame the temporal structure of a community’s spiritual lives. In keeping with individual spiritual and aesthetic preferences, books of hours were often customized to appeal to the particular purchaser, and they vary greatly through time and from region to region. 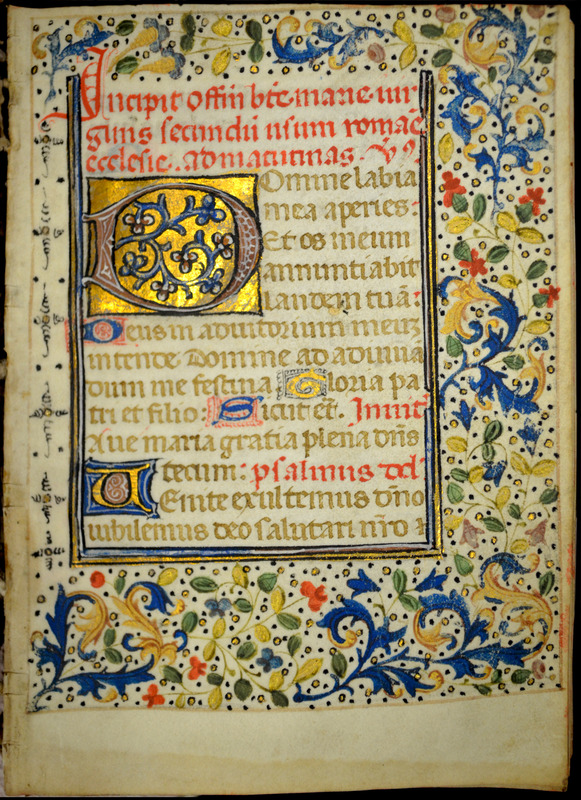 This diminutive and comparatively austere book of hours (Use of Rome) appears to have been produced near Bruges between about 1460 and 1470, possibly influenced by the prolific illuminator Willem Vrelant. Written in Latin in a skilled Gothic Italic Rotunda hand, the book lacks a calendar and miniatures of any kind, nor is there any evidence that any were ever present. Founded in 1067, the Benedictine convent of San Pier Maggiore was an ecclesiastical center of medieval Florence, and socially one the city’s most prestigious religious houses for women. A Gothic church was completed at the convent in 1352, featuring an elaborate multi-paneled altarpiece by Jacopo di Cione. The convent remained active until its razing in 1784. 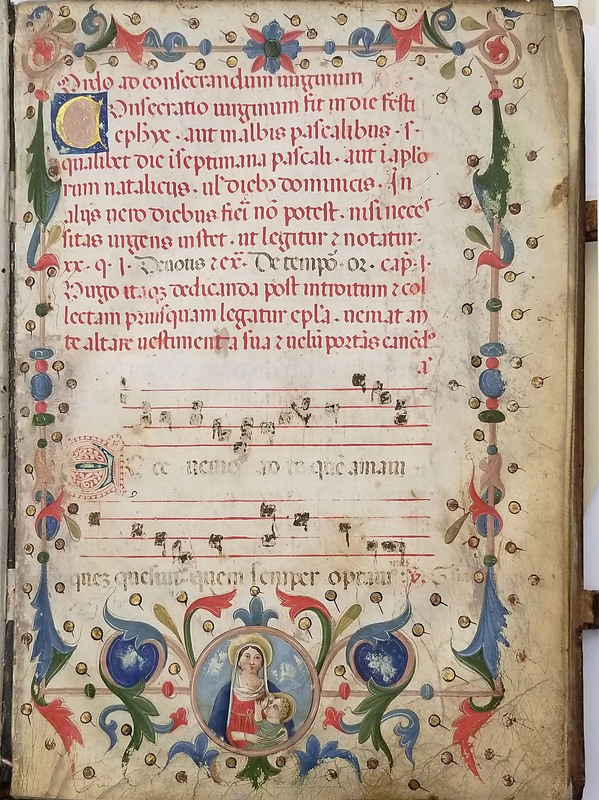 A utilitarian, but ritually significant work, this manuscript contains the text and music used in celebrating the consecration of nuns at the Benedictine convent of San Pier Maggiore. The acanthus border on the first folio suggests a mid-fourteenth century date of origin, though likely prior to the commissioning of Cione’s Coronation of the Virgin altarpiece. 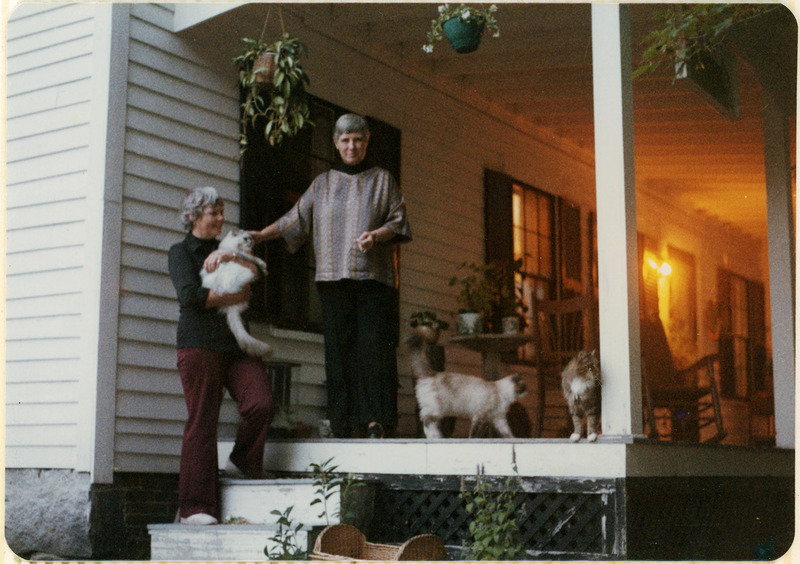 Co-owned by Dorothy Johnson and Doris Abramson, the Common Reader Bookshop in New Salem, Massachusetts, specialized in women’s studies materials, or in their words, “books by, for, and about women.” A couple for almost 40 years and married in 2004, Johnson and Abramson opened the store in 1977 and as they grew, relocated to the town’s old Center School building across the street in 1983. The shop closed for business in 2000. Comprised of two scrapbooks and folder of ephemera, the collection highlights the Common Reader Bookshop not only as a place for buying antiquarian books, but also for the community it fostered. Gift of Doris Abramson and Dorothy Johson, Jan. 2005. 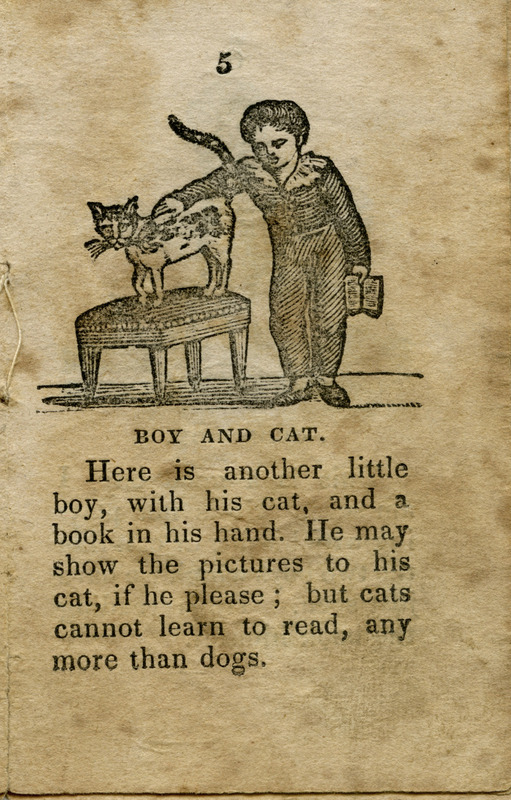 Publishers in Western Massachusetts engaged in a brisk trade in books intended for children during the antebellum years, producing chapbooks to teach reading, didactic works on morals and comportment, and toy books for reward and entertainment. 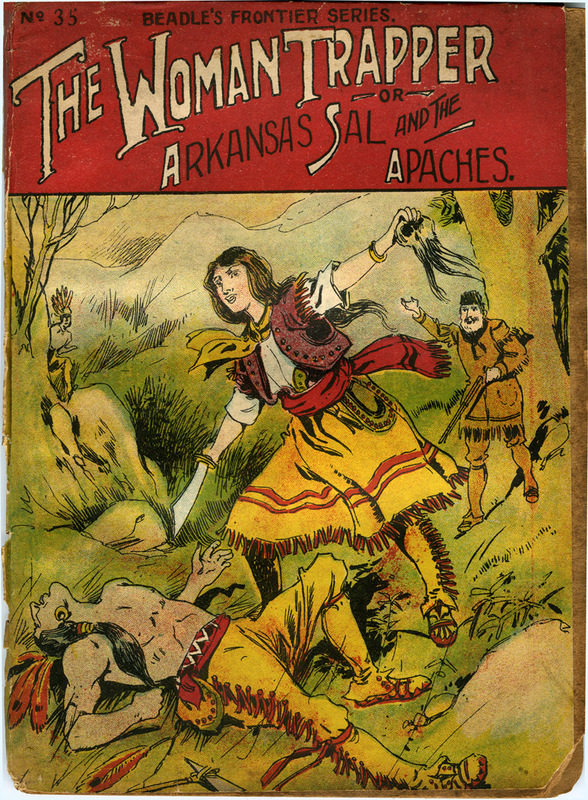 Brief and most often simply produced, the books are noted for their diminutive size, stock woodcut illustrations and characteristic moralistic tone, but they are rich sources for understanding popular conceptions of childhood, education, religious life, and marketing in the book trade, among other subjects. The majority of the works in the Early Children’s Literature collection were products of the antebellum press in western Massachusetts, produced and distributed by printers such as John Metcalf (Wendell and Northampton), Anson Phelps (Greenfield), and A. R. Merrifield (Northampton). There are examples of chapbooks from other printers, most notably Mahlon Day of New York and the American Sunday School Union in Philadelphia. Otto F. Ege, "Fifty Original Leaves From Medieval Manuscripts"
The scholar of book history Otto F. Ege disassembled works from his personal collection of medieval manuscripts to create forty portfolios of fifty leaves each, offering these sets for sale to individuals and institutions under the title “Fifty Original Leaves From Medieval Manuscripts.” Marketing his portfolios as a resource for study of the history of the book, book illustration, and paleography, Ege justified his biblioclastic enterprise as a means of sharing the beauties of Medieval books with a wider audience. 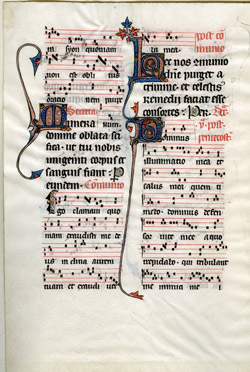 The majority of the texts scavenged for Otto Ege’s “Fifty Original Leaves From Medieval Manuscripts” (all but one in Latin) are liturgical in origin — Bibles, psalters, missals, breviaries, and Books of Hours — however Ege also included a few less common works such as the 15th-century manuscript of Livy’s History of Rome and a version of Thomas Aquinas’s Commentary on the Sentences of Peter Lombard. 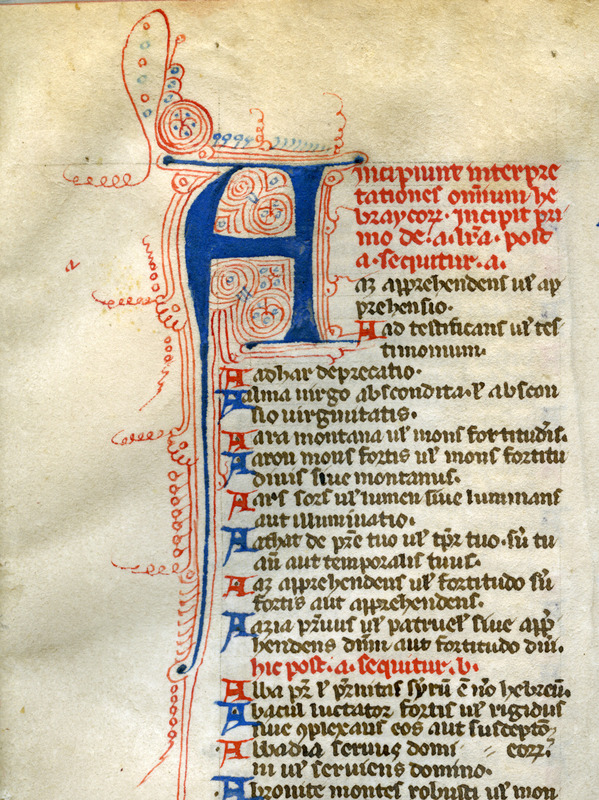 The leaves range in date from the late twelfth to the early sixteenth century and represent a number of distinctive regional styles in paleography and illumination from throughout western Europe, including Italy, France, Germany, the Low Countries, Switzerland, and England. The UMass Amherst set is number six of 40. Yasuko Fukumi graduated from Tsuda College in Tokyo in 1949 with a B.A. in English. From 1949 to 1952, she worked in the library of the Narimasu High and Junior High Schools, before becoming an Assistant Librarian at the American School in Japan. In 1962, Fukumi moved to the United States to pursue a graduate degree in library science at Kansas State Teachers College. She held two positions at other American libraries before joining the staff of the UMass Amherst Library as a cataloger and later as the East Asian Studies Librarian. Fukumi first discovered the Benjamin Smith Lyman Collection, housed then at the Forbes Library in Northampton, in 1979. From that time forward, she worked tirelessly to bring the collection to the attention of the faculty at UMass and to the scholarly world at large. In 1987, she mounted a campaign to raise the $200,000 necessary to purchase the collection from the Forbes Library and secure it a permanent home in the UMass Amherst Special Collection and University Archives. Fukumi’s papers focus on her extensive research both on Benjamin Smith Lyman and on the Japanese books that comprised his collection, books now housed along with his papers at UMass Amherst. Materials include Lyman family history and genealogy, Lyman’s contributions to Japan’s coal, oil, and mineral reserves during the latter of the 19th century, and Fukumi’s bibliography of Lyman’s library. The collection also contains limited material on Fukumi’s employment at the university library and a large selection of her Haiku poems. Preparing to translate the Bible from Hebrew into Latin, St. Jerome relocated to Palestine, where in 388, he began, as he wrote, to “set forth a book of Hebrew Names, classing them under their initial letters, and placing the etymology of each at the side.” His Interpretationes nominum Hebraeorum (Interpretations of Hebrew Names) enjoyed wide popularity throughout the Middle Ages and was a regular part of early medieval Gospel books as an exegetical aid. This incomplete copy of the Interpretation of Hebrew Names begins with “A[h]az apprehendens” and continues through “Tirus angustia v[e]l tribulatio s[i]v[e] plasmatio aut fortitudo.” Internal evidence suggests that it was once part of a larger manuscript, presumably a Bible. 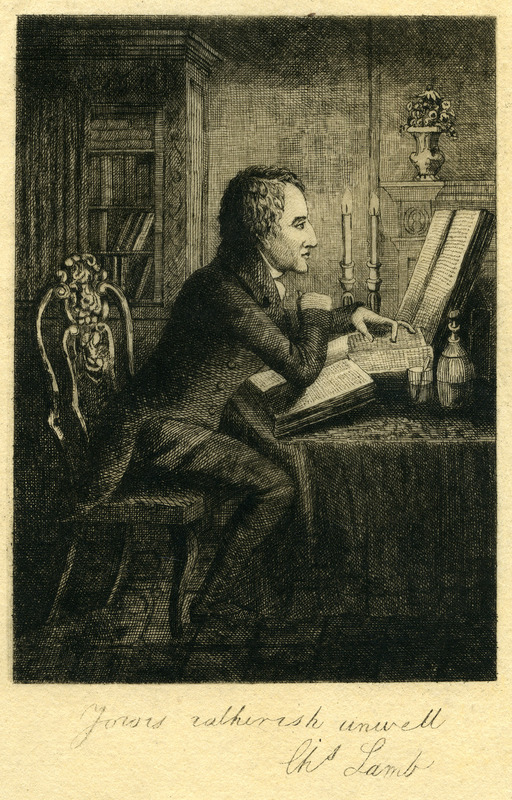 A poet, critic, and essayist, and close friend of Coleridge and Wordsworth, Charles Lamb was a popular figure in literary circles in late Georgian Britain. Born in London in 1775, Lamb began working in the accounting office of the British East India Company at the age of seventeen. Despite struggling with mental illness in his family, he built a reputation as a writer. With an elegant, eccentric, and somewhat antiquated style, he became known first for his poetry, but soon gained notice for prose and criticism. Written with his sister Mary, Tales from Shakespeare (1808) achieved notable success, however Lamb’s fame rests primarily on the essays he wrote during the 1820s under the pseudonym Elia. Lamb died from erysipelas on Dec. 29, 1833. From the 1960s through 2010s, Rocco and Barbara Verrilli built this extensive collection of first and early editions of Charles Lamb’s writing. Among the volumes they acquired are Lamb’s personal copy of his first publication, Poems on Various Subjects; a rare copy of his first book for children King and Queen of Hearts (1806); and a presentation copy of his best known work, Elia (1823). The twenty-five manuscript items in the collection are particularly noteworthy. Displaying a characteristic combination of charm, wit, and insight, these include a long letter to Robert Southey discussing poetry; humorous letters to his admirer John B. Dibdin; an acrostic by Lamb on the name of Sarah Thomas; and two particularly fine letters to the poet Edward Dyer, including an eye-witness account of the agricultural rebellion known as the Swing Riots. One of the pioneers in the ephemera trade, Samuel E. Murray (1906-1989) was a long time antiquarian bookman, based at his home in Wilbraham, Mass. Born on Christmas Day, 1906, Murray interrupted his college studies to go to sea, but after the Depression left him unemployed, he landed a position as sales representative for McGraw-Hill and, later, G. & C. Merriam and other firms. Always an avid book collector, Murray left the publishing industry in 1970 to become a full time bookseller. Without ever advertising or issuing catalogs, he developed a wide reputation among dealers and collectors for his keen eye and perspicacity with rare and uncommon books. A generalist by trade, Murray had a particular fondness for colorplate books and travel literature, but was renowned both for his extensive reference library and for recognizing early on the value of ephemera. 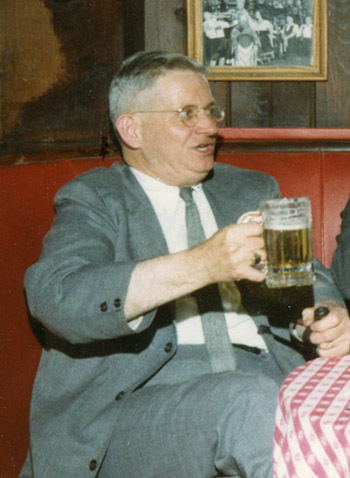 After a lengthy bout with myelofibrosis, Murray died at home on June 4, 1989. The Murray Papers contain correspondence between Murray and a range of his fellow booksellers and clients, as well as his extensive card files on fellow book dealers and wants lists. The collection offers insight into the operations of a well known antiquarian bookman during the 1970s and 1980s.